I have been watching a ton of Pretty Shiny Sparkly drugstore hauls and beauty reviews. She kept raving about a few different lipsticks so I knew I wanted to try them! The first one I tried did not disappoint! Color Whisper from Mabelline. I tried it in Lust for Blush- its a dusty pink and I wasn’t sure how it would work or if it would wash me out. I could not be more happy with the results- it looks amazing and feels amazing! It smoothes on rich, creamy but almost sheer. You can easily build on the color but its not overwhelming or chalky like a lot of cheap lipsticks are. I was immediatley sold. It felt like butter and felt more nourishing than my go-to burts bees. I will be investing in several more- you can see all the shades here at Target! 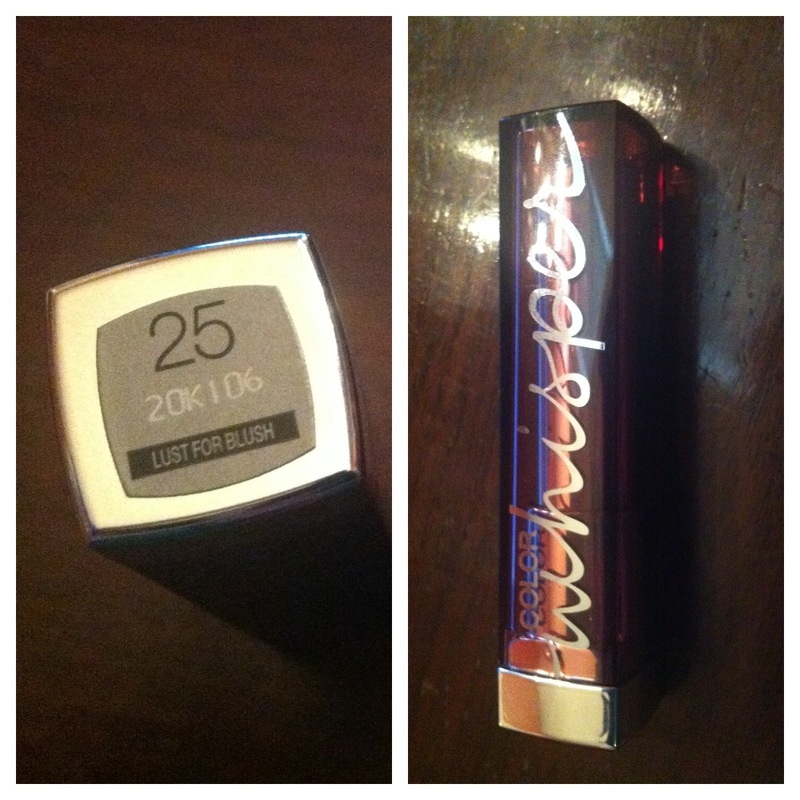 Categories: Good Looks | Tags: Color, Cosmetics, Lipstick | Permalink. Absolutely! What colors do you have? Berry ready, rose of attraction and made it mauve! I’ll probably add a few more into my routine. I love the options and gradual color deepening. Try berry ready, I was a little hesitant using a bolder color on my fair skin, but i was pleasantly surprised! I’ve been looking at berry ready- I think I’ll have to get it now!